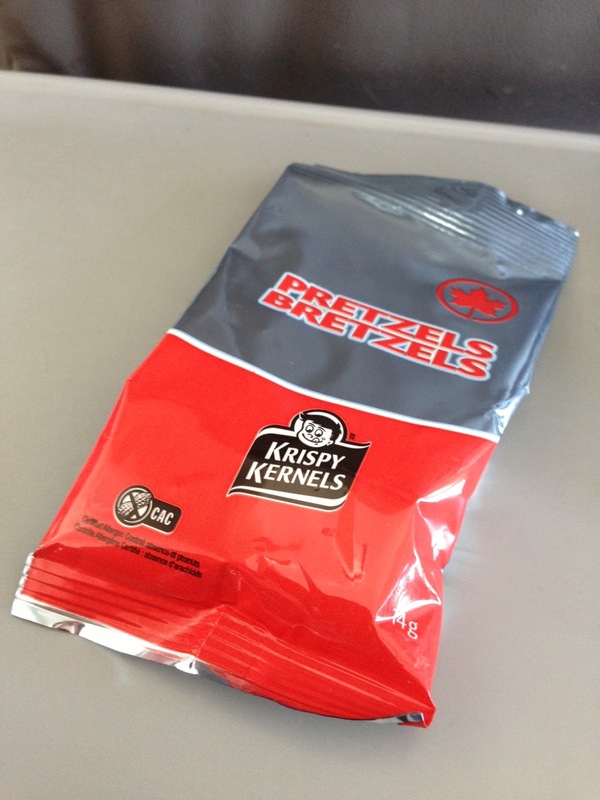 Weighty Matters: Airplane Pretzels - Just Say No! So yesterday I had the exciting pleasure of appearing as a guest on The Today Show. On my flights to New York City and back, almost immediately after takeoff the stewards walked down the centre aisle and placed a package of pretzels in front of every passenger prior to asking them for their drink order. Unlike with the drinks, they didn't ask anyone if they wanted the pretzels, and if you didn't want them, you literally had to hand them back. No one did, and looking around me I noticed everyone ate theirs. I opened mine up and tasted one. Let's just say it was not a party in my mouth. Honestly the only possible reasons that I could imagine why anyone was eating those things were the simple facts that: A) They were there, and B) Others were doing so (I felt kind of like I was in a Brian Wansink mindless eating study). Nutritionally they're not much more exciting than they tasted. 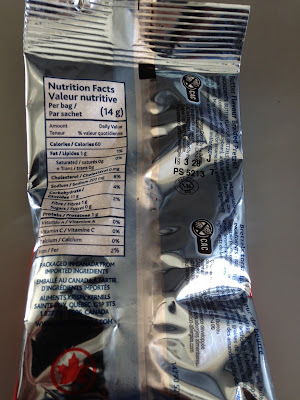 Not particularly high in calories at just 60 for the entire teeny-tiny bag, but somehow those scant half ounce of pretzels pack 200mg of sodium coating on their pulverized white flour, spackled with artificial butter flavour, cores. Next time you're offered these salty, wastes of calories, just say no!